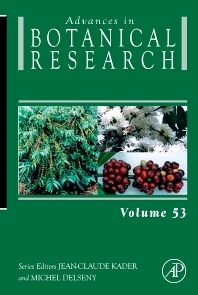 Edited by Jean-Claude Kader and Michel Delseny and supported by an international Editorial Board, Advances in Botanical Research publishes in-depth and up-to-date reviews on a wide range of topics in plant sciences. Currently in its 53rd volume, the series features a wide range of reviews by recognized experts on all aspects of plant genetics, biochemistry, cell biology, molecular biology, physiology and ecology. This eclectic volume features reviews on cutting-edge topics of interest to postgraduates and researchers alike.